If you’ve ever been to one of my presentations on the Atlas then you’ve probably heard me talk about the Maritimes’ three endemic butterflies: Salt Marsh Copper, Maritime Ringlet, and Short-tailed Swallowtail. These three species are found in Canada and nowhere else…or at least until now. One of the most exciting finds of the 2010 field season was Martin Turgeon’s discovery of an inland population of Short-tailed Swallowtail near Edmundston, NB. Short-tailed Swallowtail is typically a coastal species, though there are well known inland populations in the Gaspé and Newfoundland. That the Edmundston population was inland is exciting, but what was most intriguing is that the discovery was made just 20km from the Maine border. If the species were to be found in Maine it would be the first US record (and we’d be down one endemic). Short-tailed Swallowtail caterpillar found by Phillip deMaynadier in northern Maine in 2011. Photo by Phillip deMaynadier. Martin’s discovery quickly caught the interest of the Maine Butterfly Survey, one of the citizen science programs that the Maritimes Butterfly Atlas is modelled after. Interested enough that MBS coordinator Phillip deMaynadier made several dedicated trips to northern Maine (a drive of nearly five hours from his Waterville home) to try to document their country’s first record. 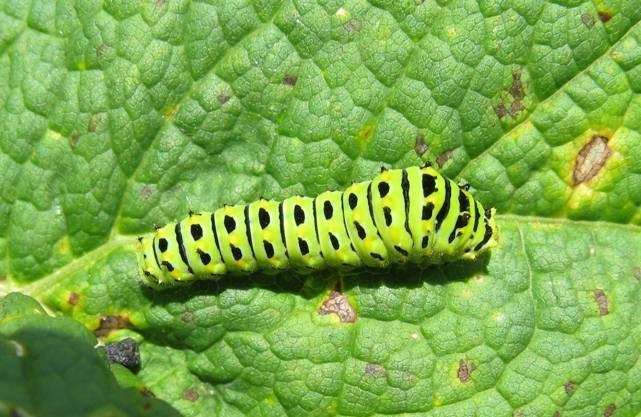 After checking many sites and examining thousands of Cow Parsnip leaves, the presumed host plant of the Edmundston population, Phillip and his son Emmett collected a mature swallowtail caterpillar in Aroostook County in August 2011. With the help of Reggie Webster, Phillip successfully reared the caterpillar, and the first recorded Short-tailed Swallowtail from the US emerged from its chrysalis this spring! 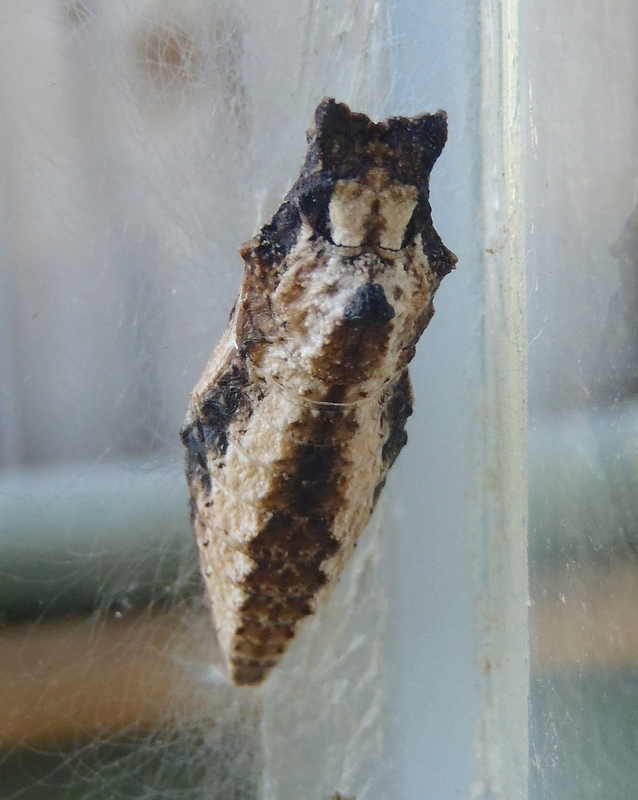 Short-tailed Swallowtail chrysalis, reared from caterpillar found in northern Maine. Photo by Phillip deMaynadier. So while Canada’s list of endemic butterfly species has shrunk, Maine and the US has added a species to their lists, and in the process we have learned more about the status and distribution of a butterfly that is unique to northeastern North America. 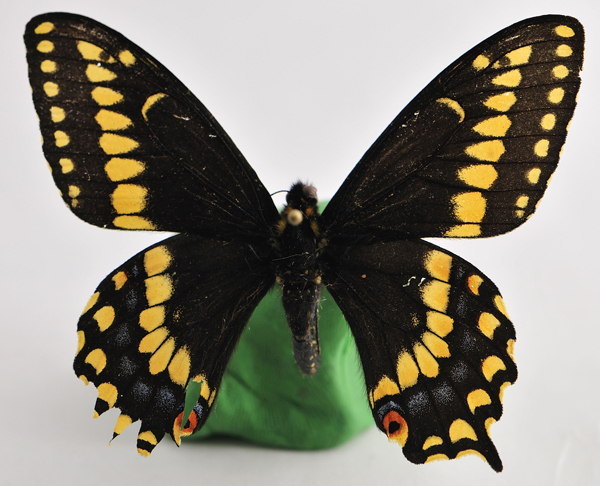 Phillip and Martin’s discoveries strongly suggest that Short-tailed Swallowtail is more widespread across northern NB than previously assumed. So please pay attention to any black-coloured swallowtail you see!